In case you don't look at my Facebook page and have seen this new illustration, I have a new print for sell on Etsy. 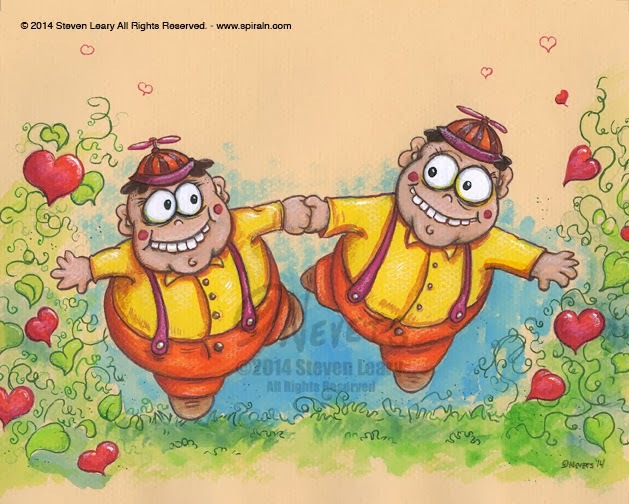 It features the classic "Alice in Wonderland" characters Tweedle Dee and Tweedle Dum. Check it out by following the link to my shop in the right column. Also, take a look at the half price sale on the seahorses print.